Today’s townland is Ballyhalbert. 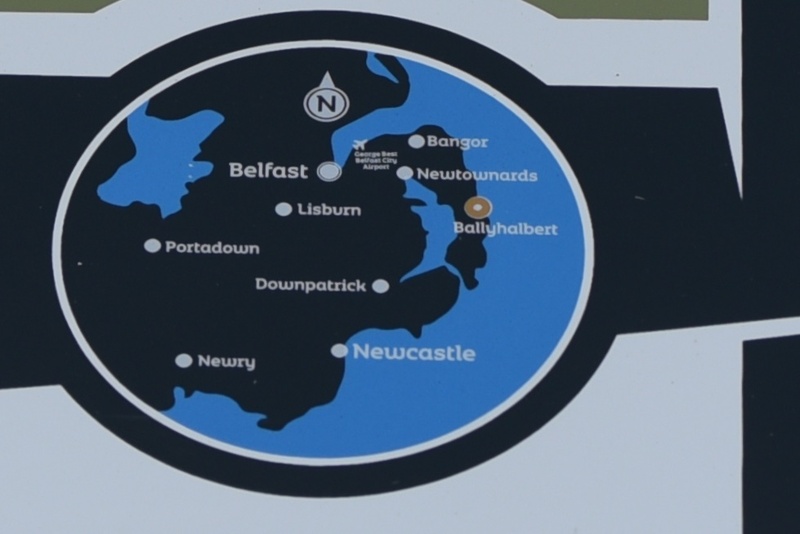 A snapshot of the local tourist information panel shows you Ballyhalbert’s location on the Ards Peninsula in County Down. The circle on the map is not to scale – it only represents a small village. The village of Ballyhalbert is made up of two townlands – Ballyhalbert and Ballyhemlin. 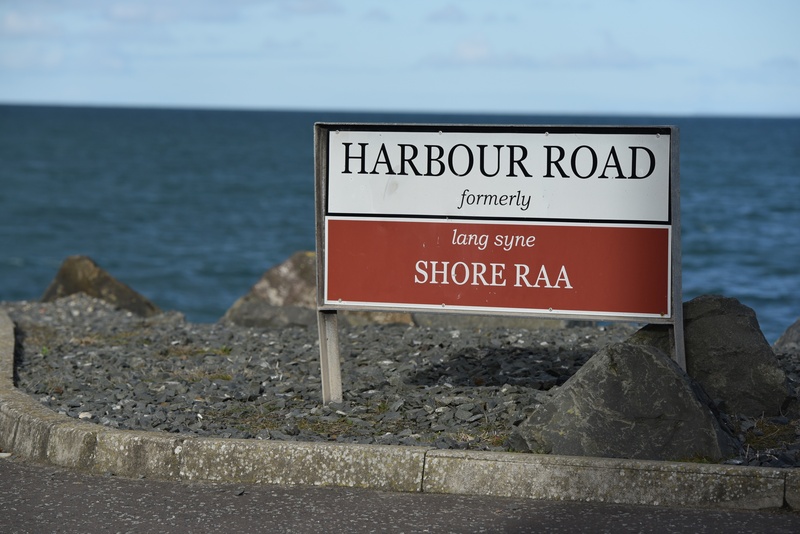 Ballyhalbert townland includes the harbour, and the road leading to it. The brown sign gives the old Ulster-Scots name for the road. 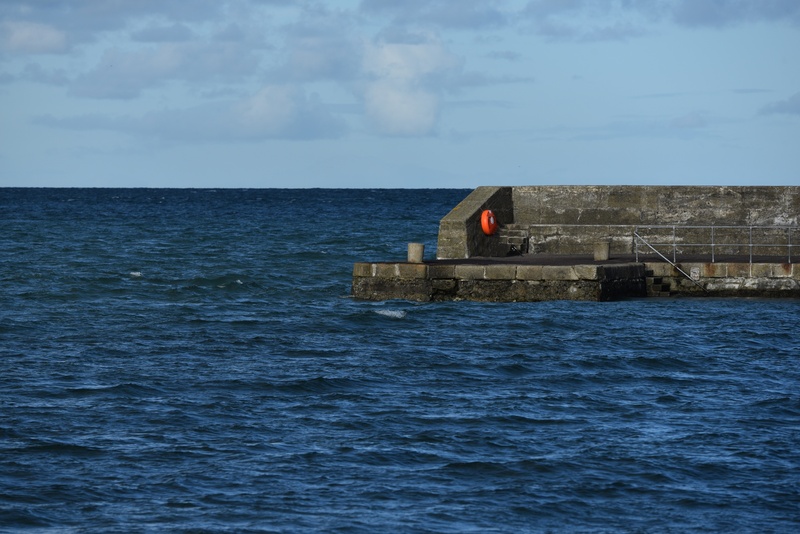 Just past the harbour is Burr Point, the most easterly point on the island of Ireland, at longitude 5.43 degrees west. (Even further east is Big Bow Meel Island.) 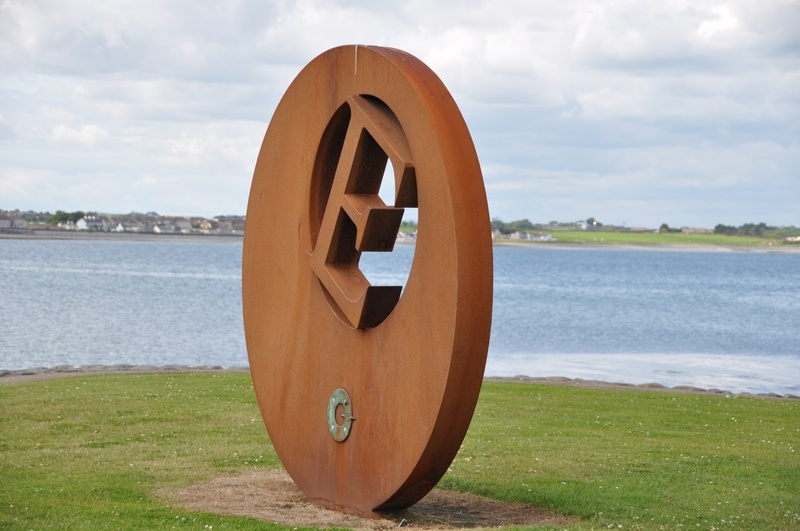 This E stands beside the carpark. 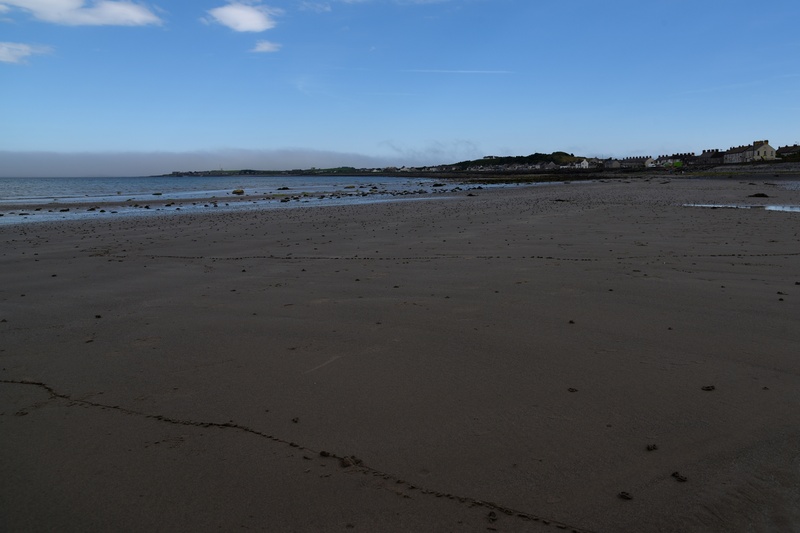 When the Irish Sea tide goes out, it opens up a wide sandy beach at Ballyhalbert. 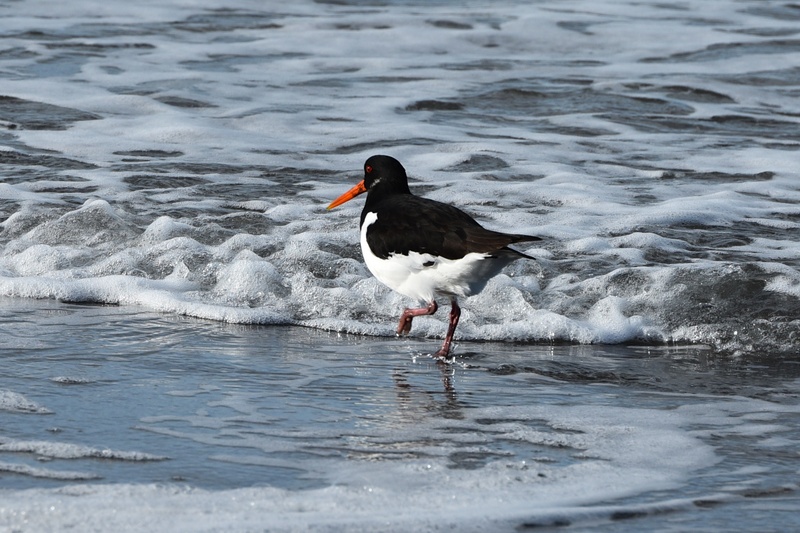 Lovely beach, but the water is a bit chilly in October, so you need to walk gingerly into the waves. 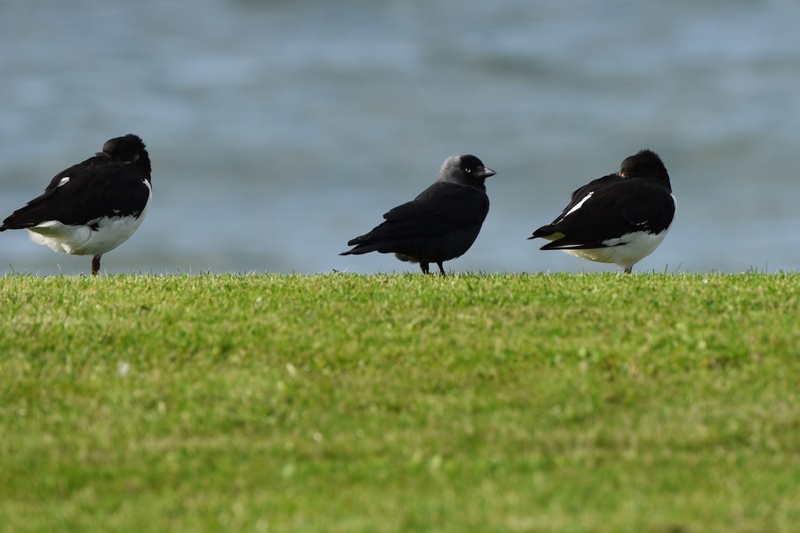 Most of the wiser oystercatchers were resting on the grass, with their heads tucked in, where they were joined by a lone jackdaw. According to the PLACENAMES NI website, the name Ballyhalbert comes from the Irish Baile meaning townland, and the English family name “Talbot”. The Talbot family settled in the area following the Anglo-Norman conquest led by John de Courcy in the 12th Century. 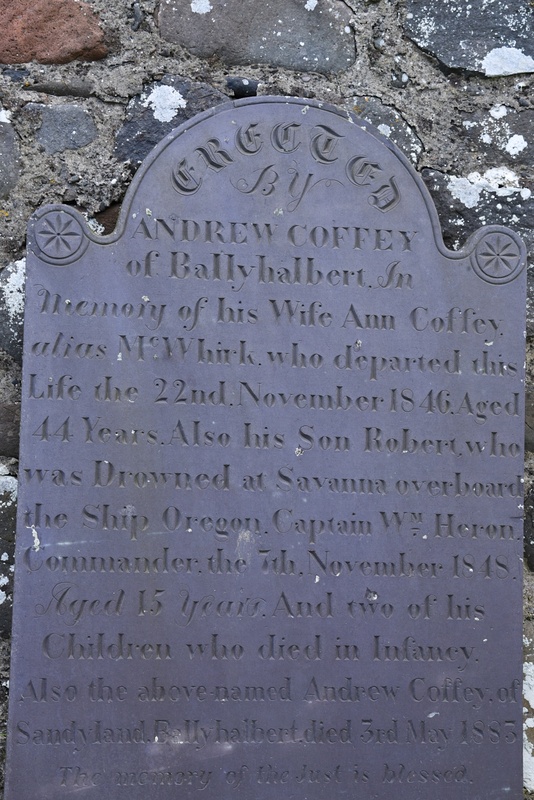 The local history website Ballyhalbert History suggests a connection with the Talbots of Malahide Castle, near Dublin. 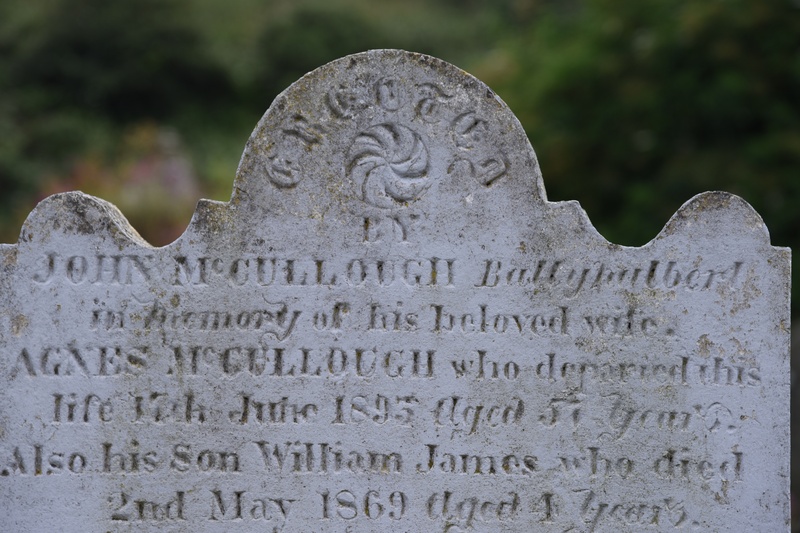 I finish with two photos of the townland name on gravestones for the families of McCullough (1893) and Coffey (1846). Which county is Ballyhalbert in? County Down. Which other townlands border Ballyhalbert? To the northwest along the coast, Ballyhemlin. Inland, to the west, Glastry and Ballyesborough. To the south, Ballyfrench. Click here for a map of Ballyhalbert and neighbouring townlands on Townlands.IE.